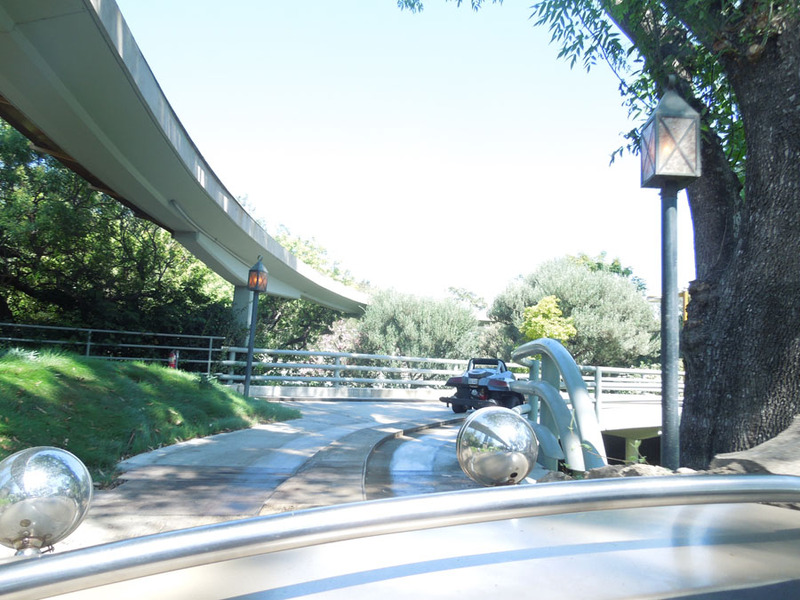 Tomorrowland also features restrooms around the back of Plaza Inn, the Astro Orbitor rockets, Pixie Hollow, Buzz Lightyear's Astro Blaster, Star Tours, the Fastpass distribution area for Star Tours, Tomorrowland Terrace, the Star Trader store, Space Mountain, the Finding Nemo Submarine Ride, the Space Mountain Fastpass distribution point, the Jedi Training Academy, the Innoventions building, Autopia, the experience from in a car at Autopia, the monorail and the Tomorrowland train station. 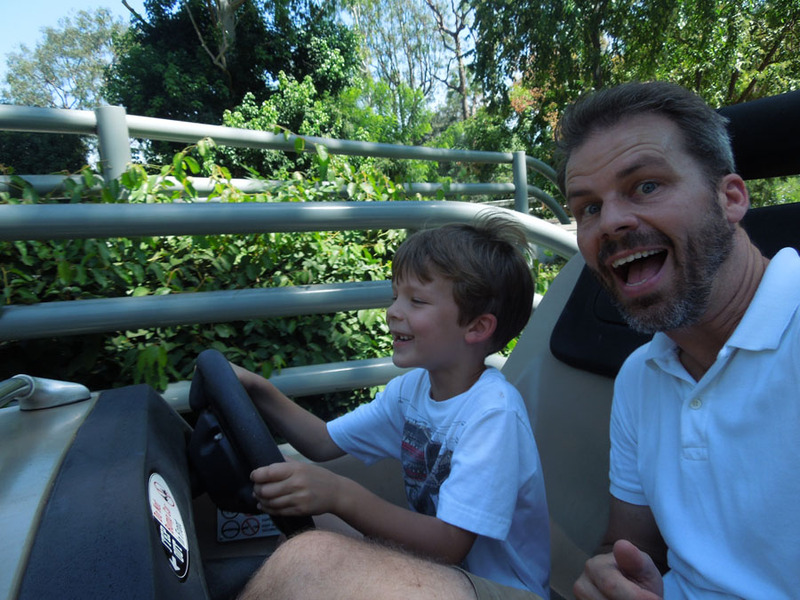 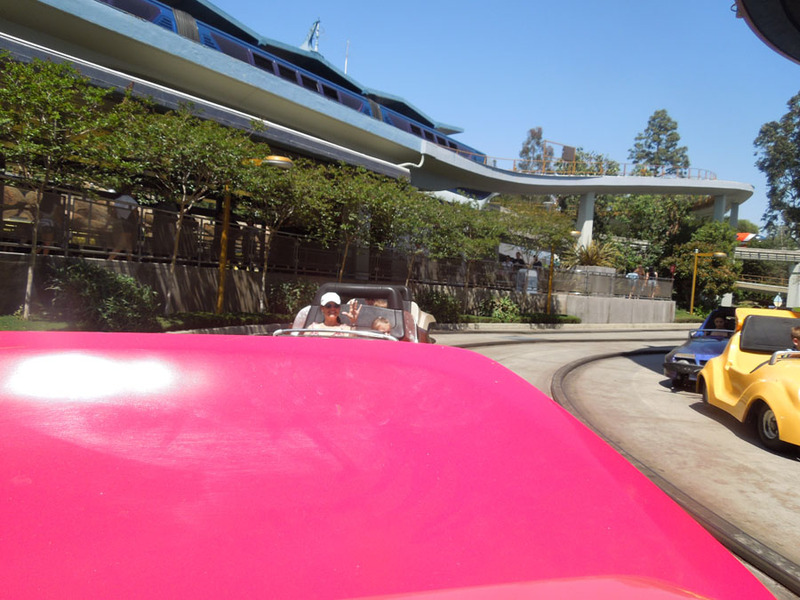 In addition to a pretty thorough photo documentation of the Autopia waiting area, I've also gathered photos from three trips around the track at Autopia at Disneyland. 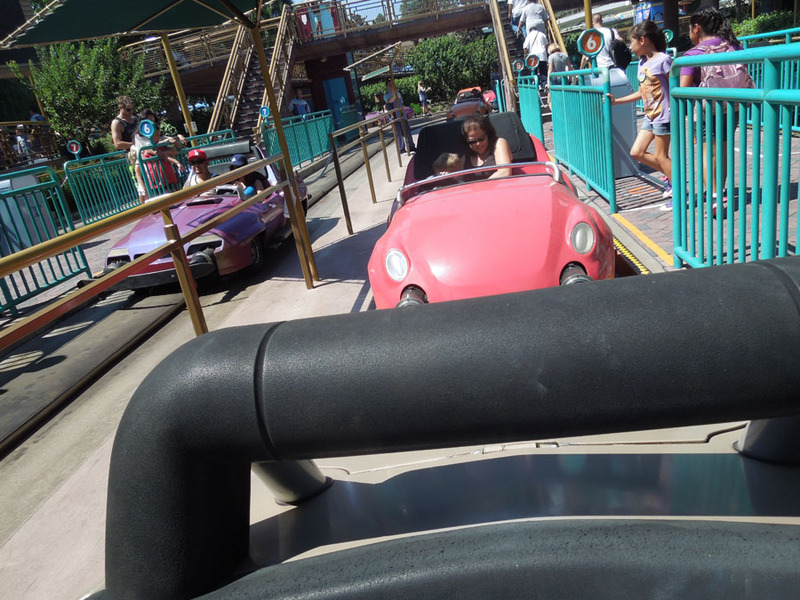 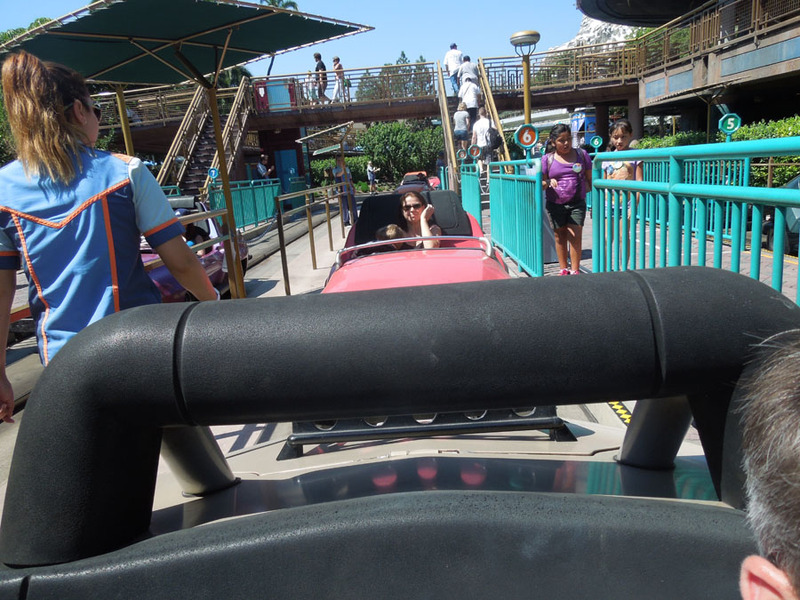 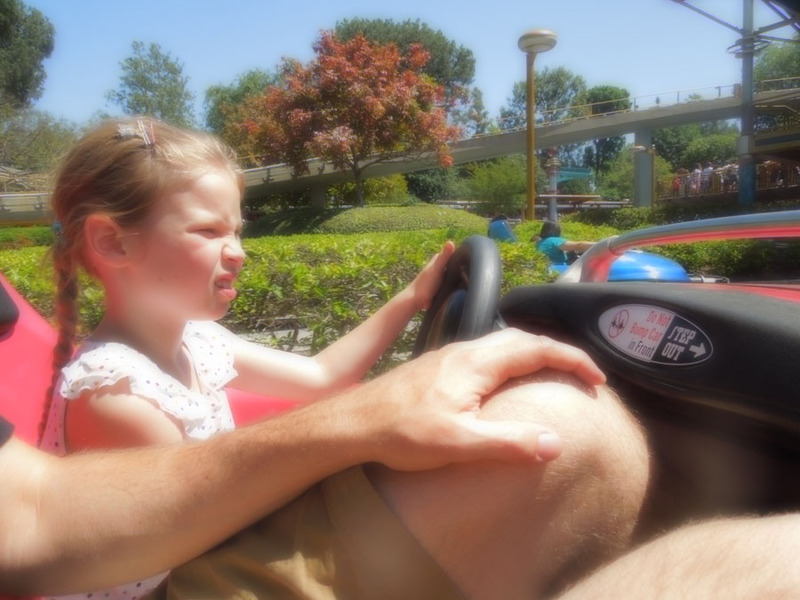 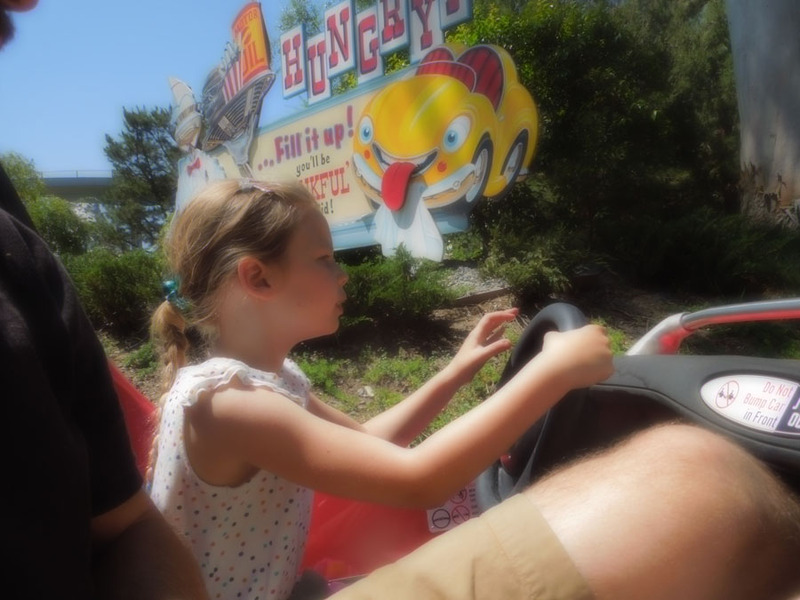 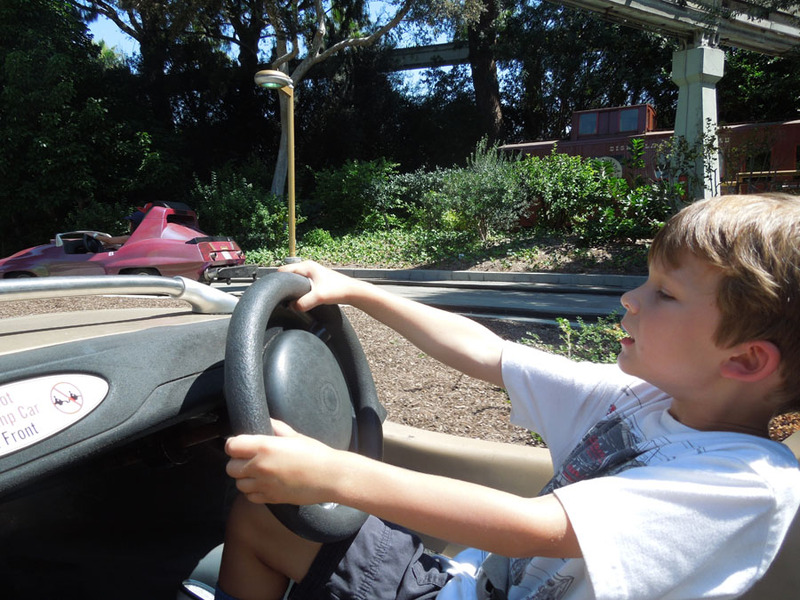 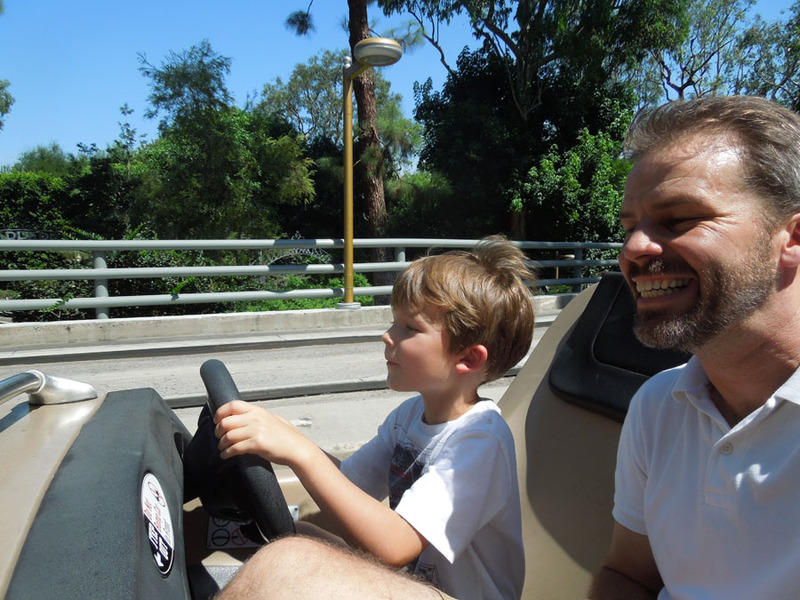 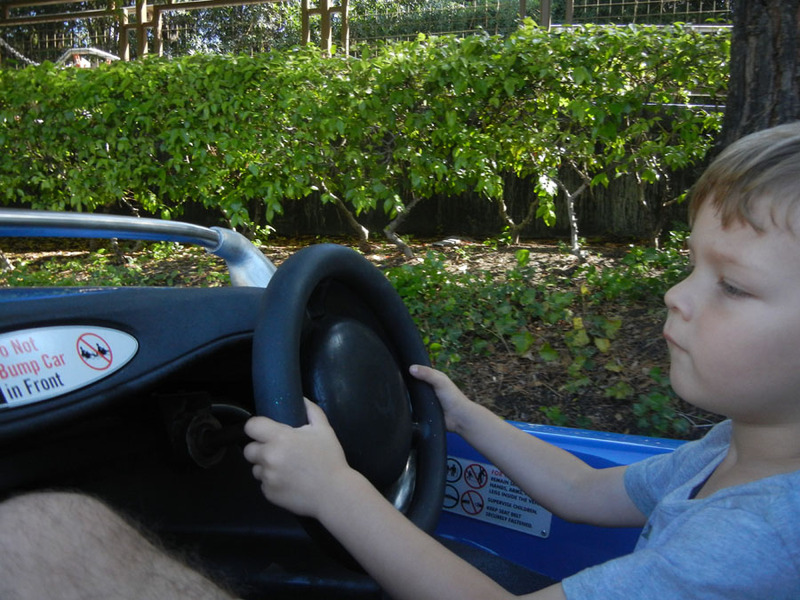 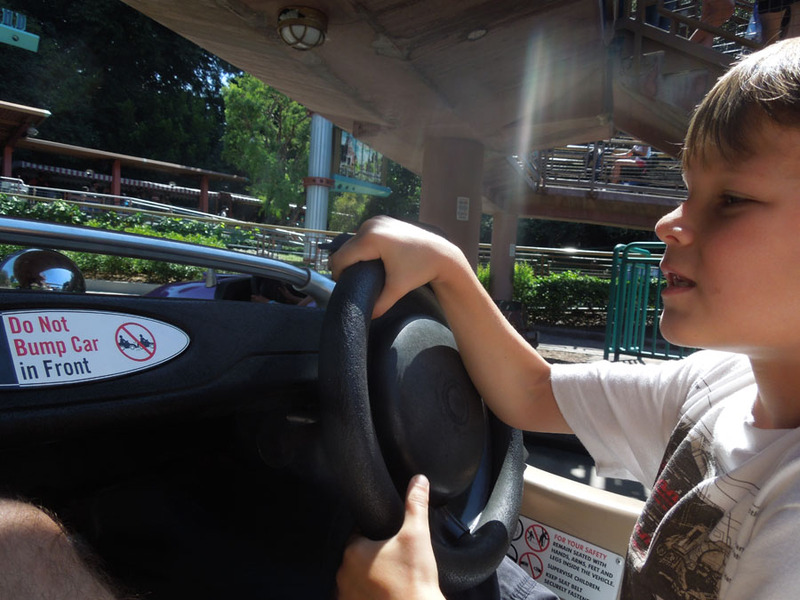 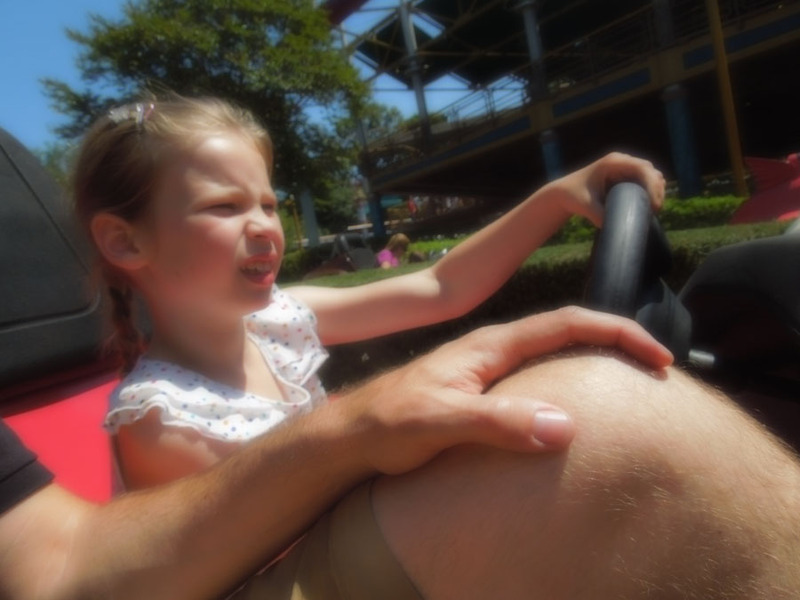 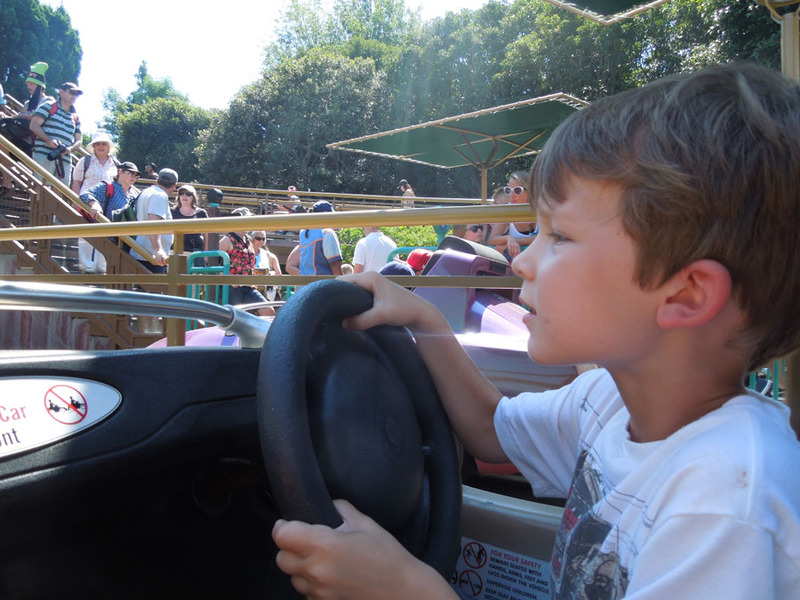 In the cars at Disneyland, looking back. 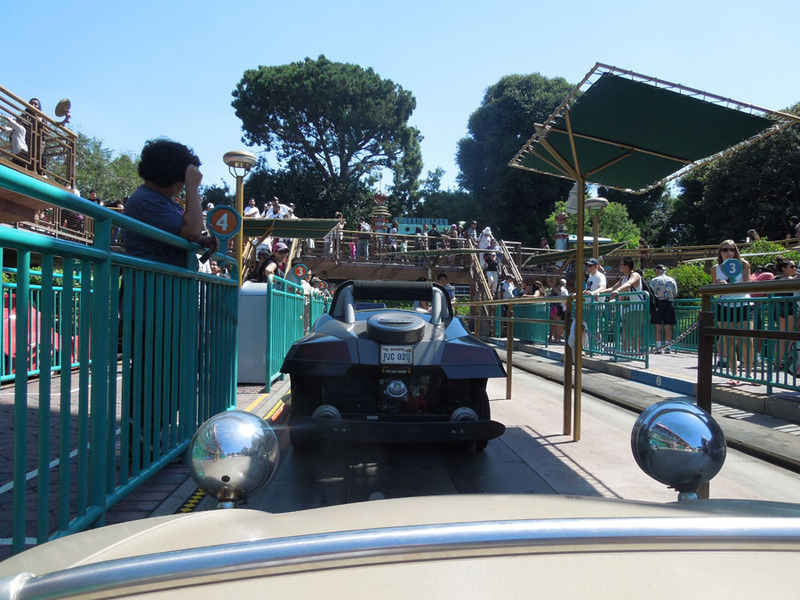 The trip begins by driving under the queue. 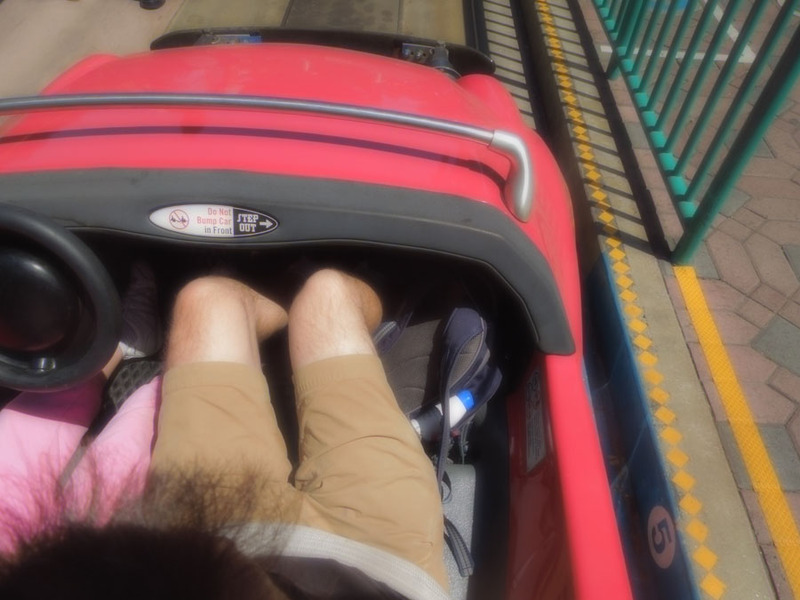 The cars have two seats. 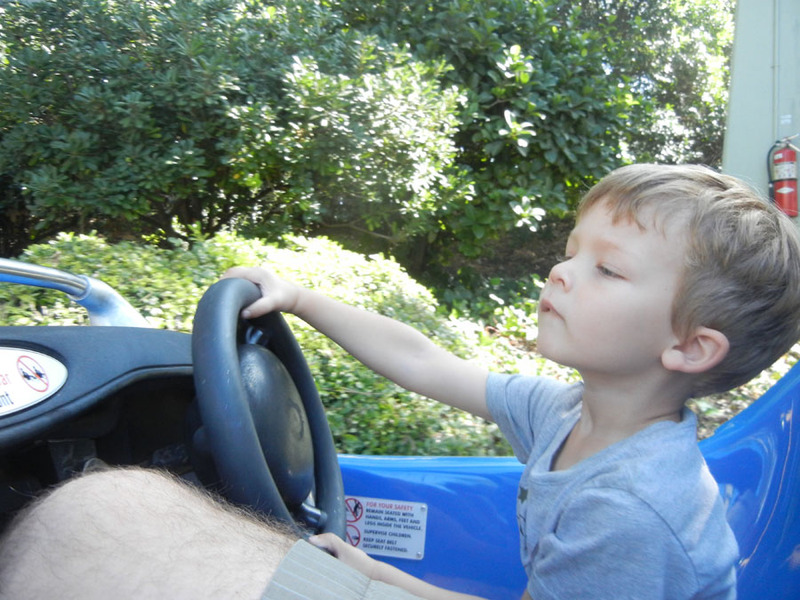 Most cars have a passenger and a driver. 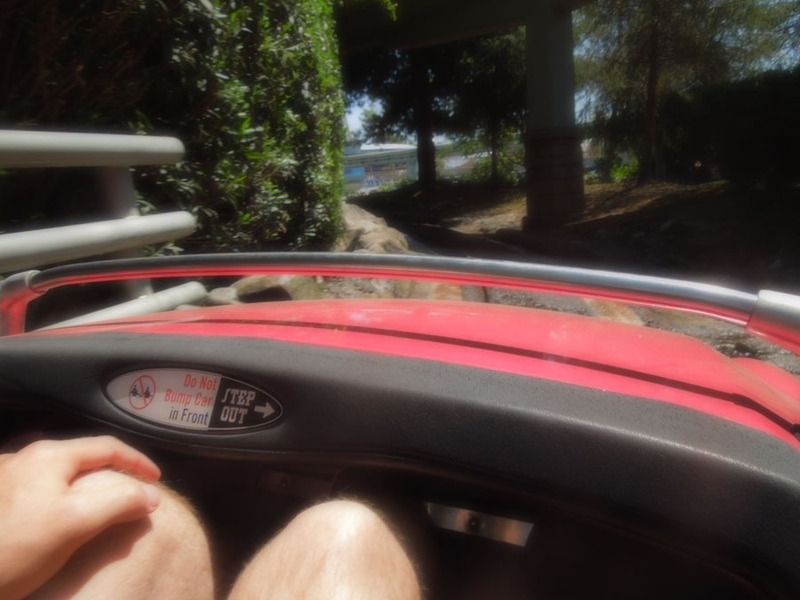 The underside of the overpass. 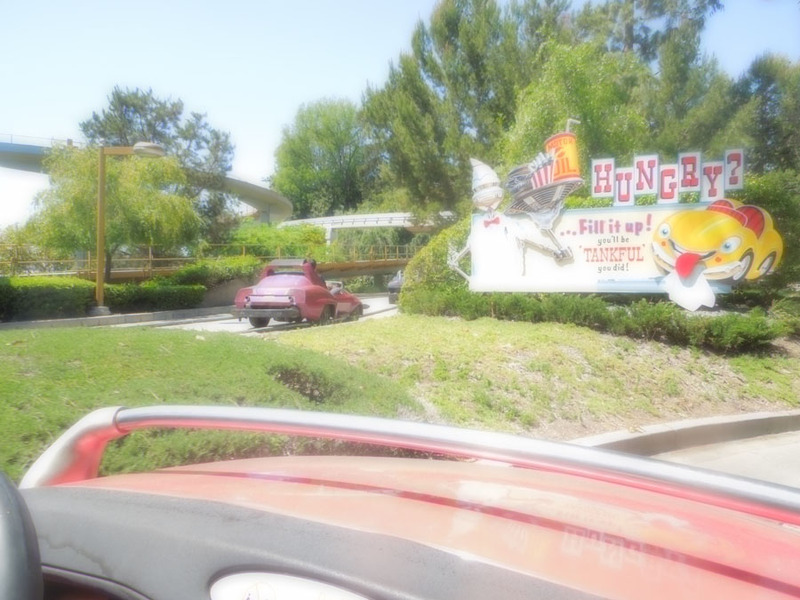 On the road, turning north. 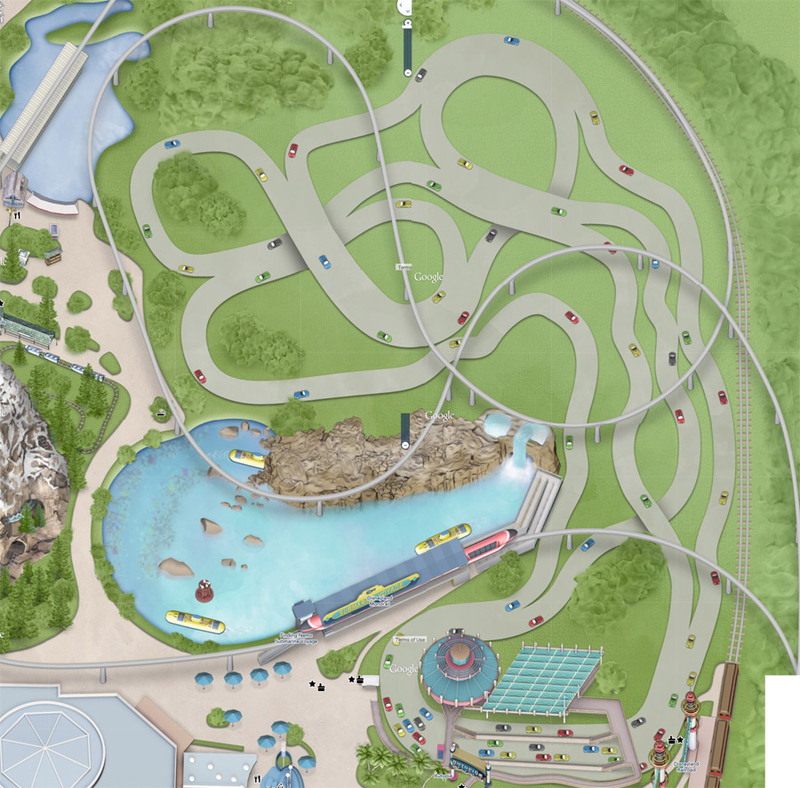 Here's where the two separate routes diverge a bit. 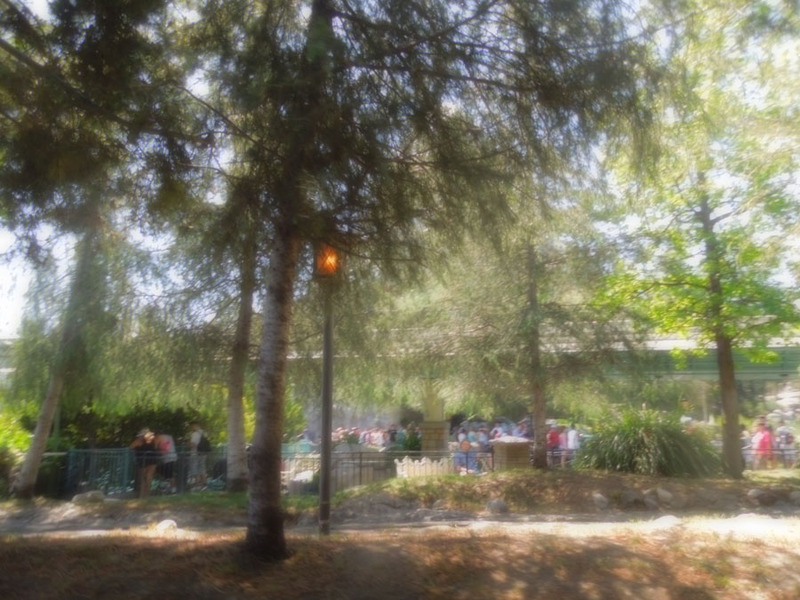 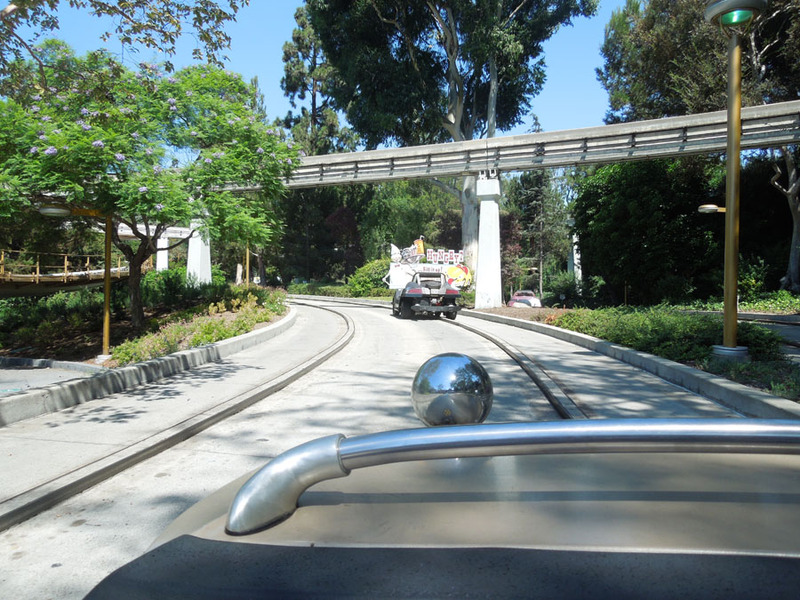 With Disneyland railroad on the right. 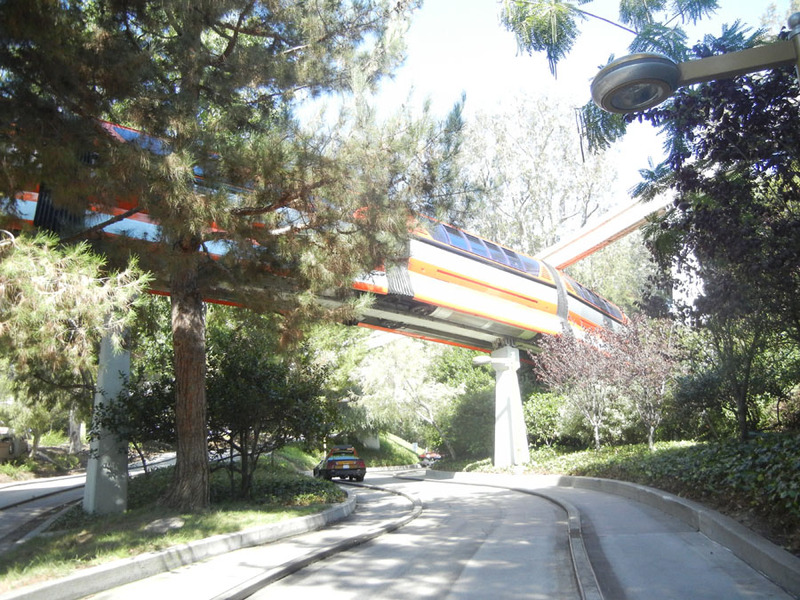 There is a curved cover under the monorail here. 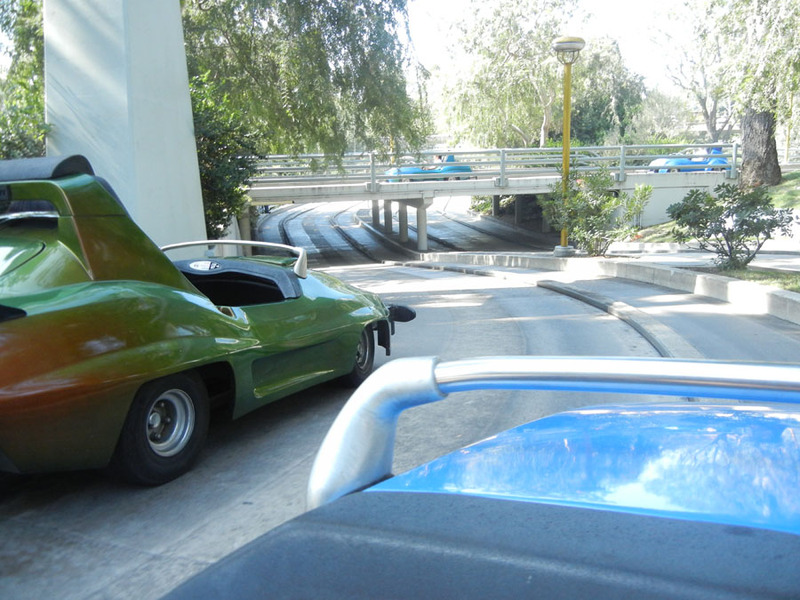 The gas pedal is notably stiff. 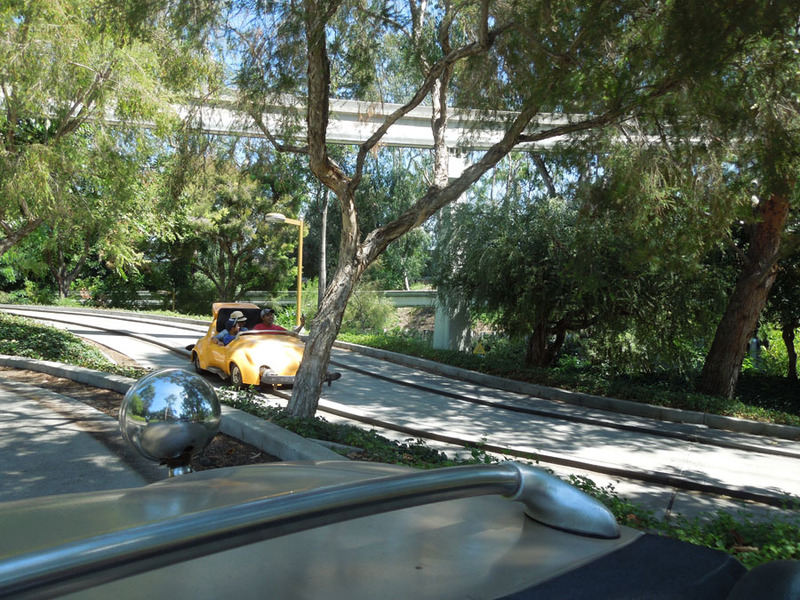 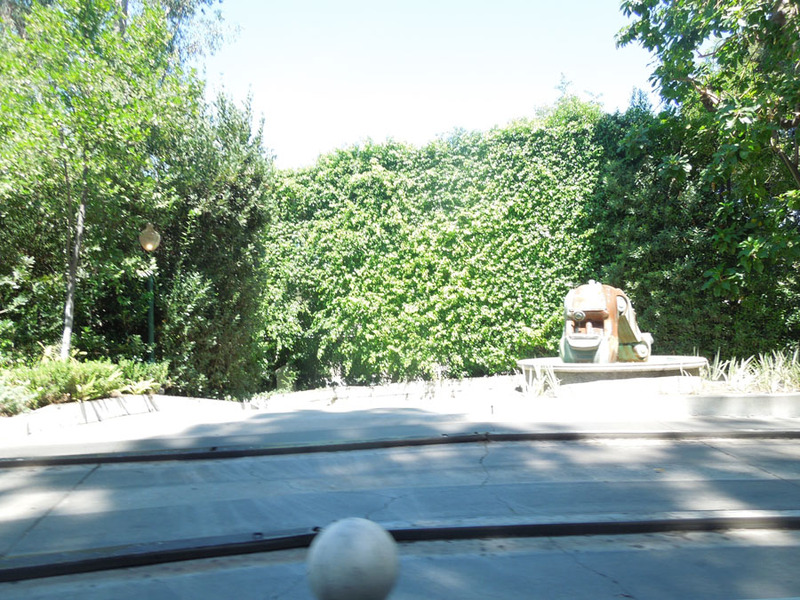 Original Autopia car memorialized by the statue on the right. 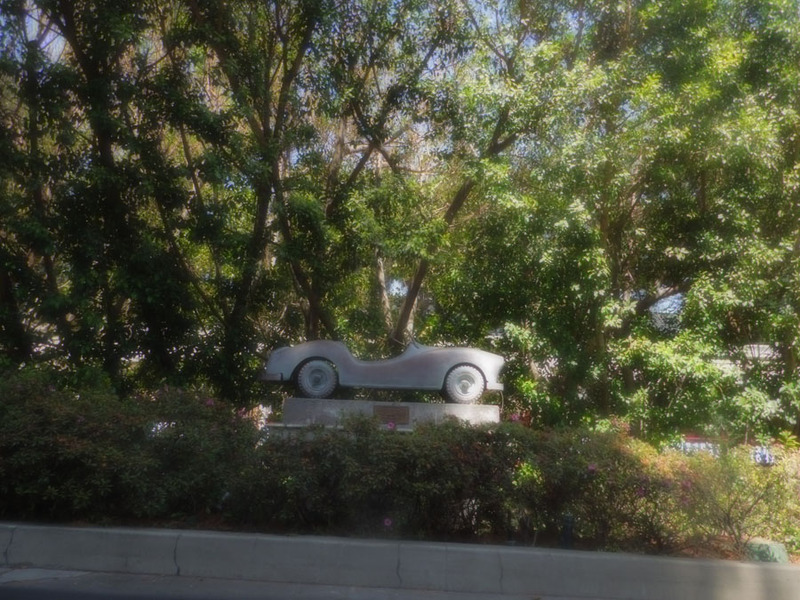 I'm not sure where on the road this was. 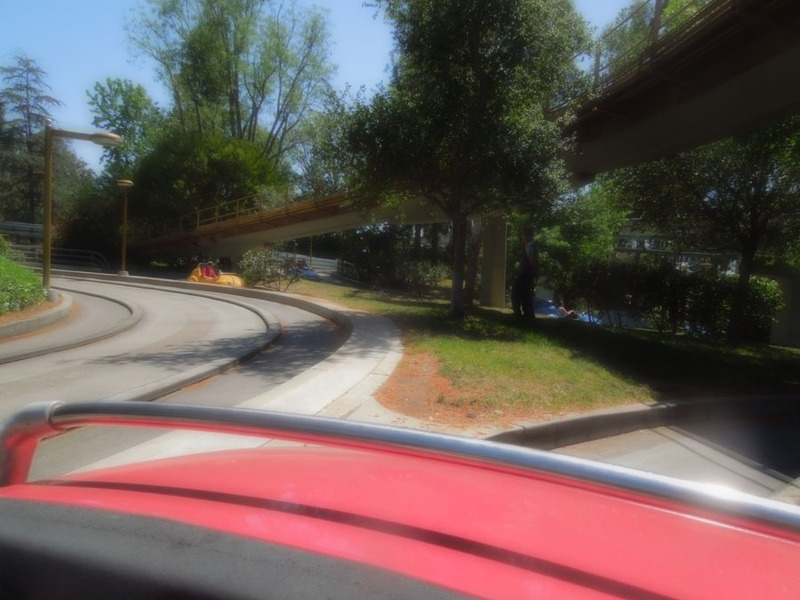 Driving under the monorail train. 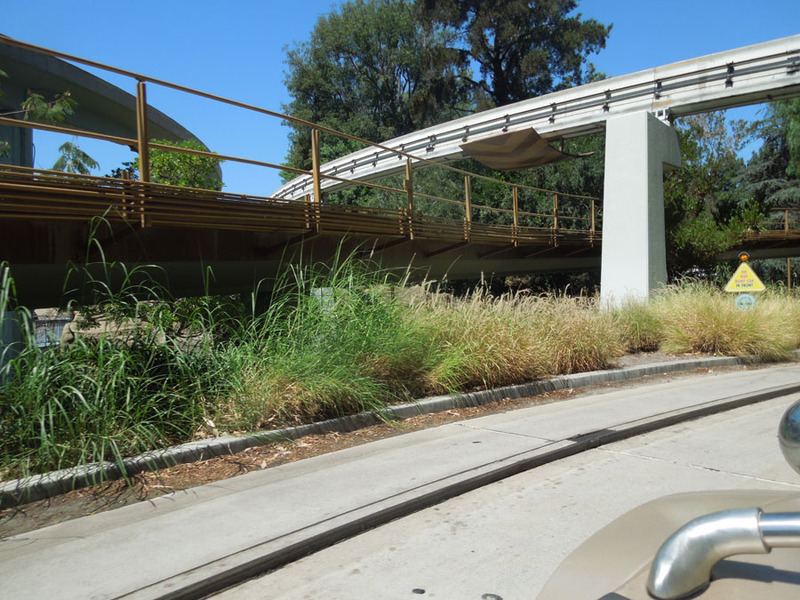 Extensive shrubs on this highway. 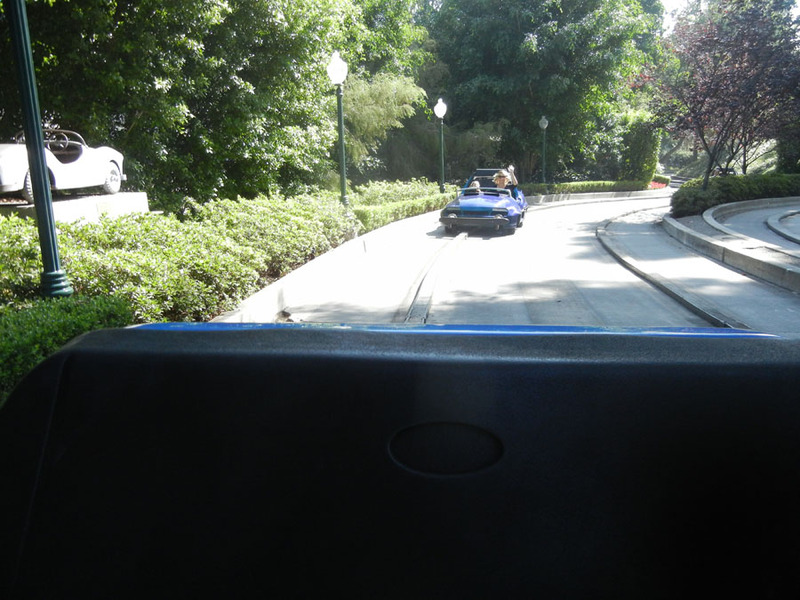 The wave from the car behind. 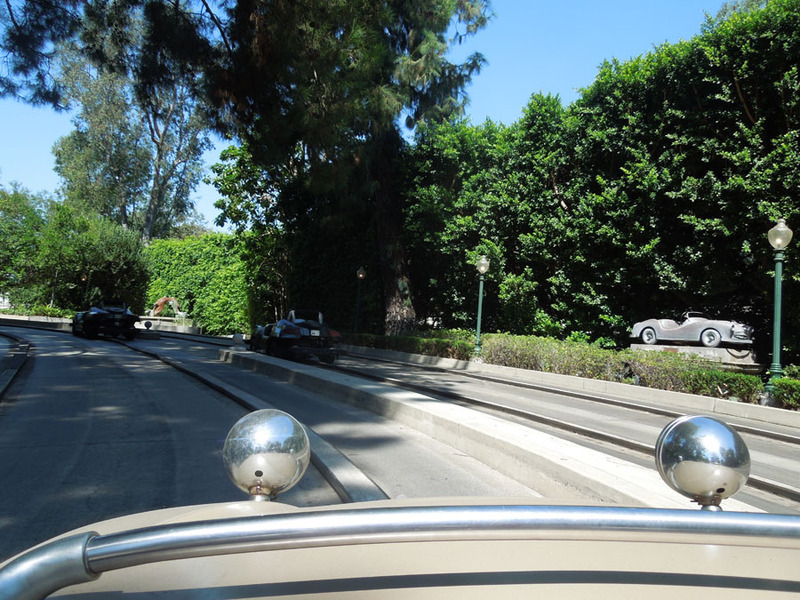 I think that's the Disneyland exterior wall. 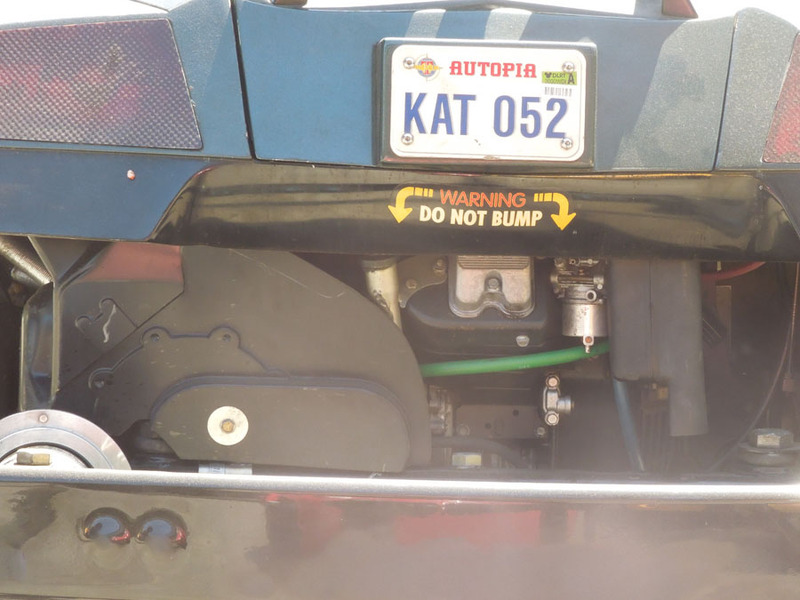 Another fire extinguisher? 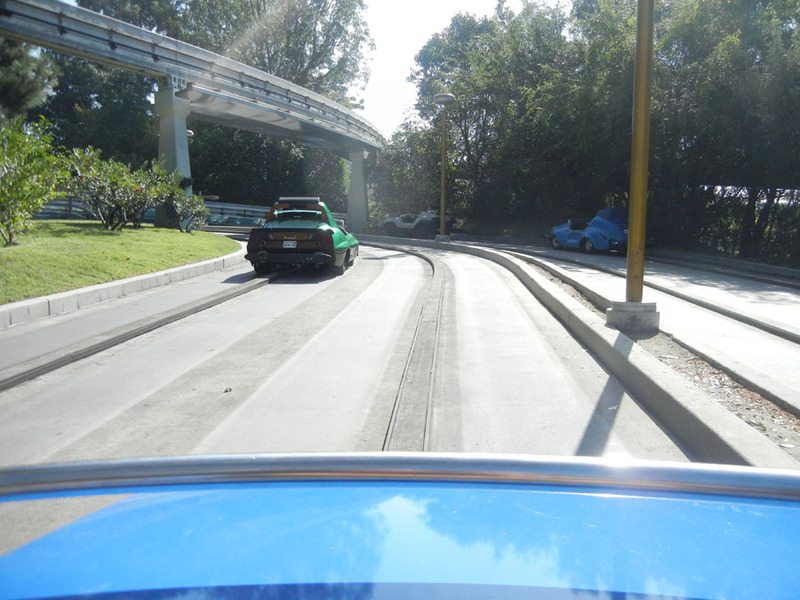 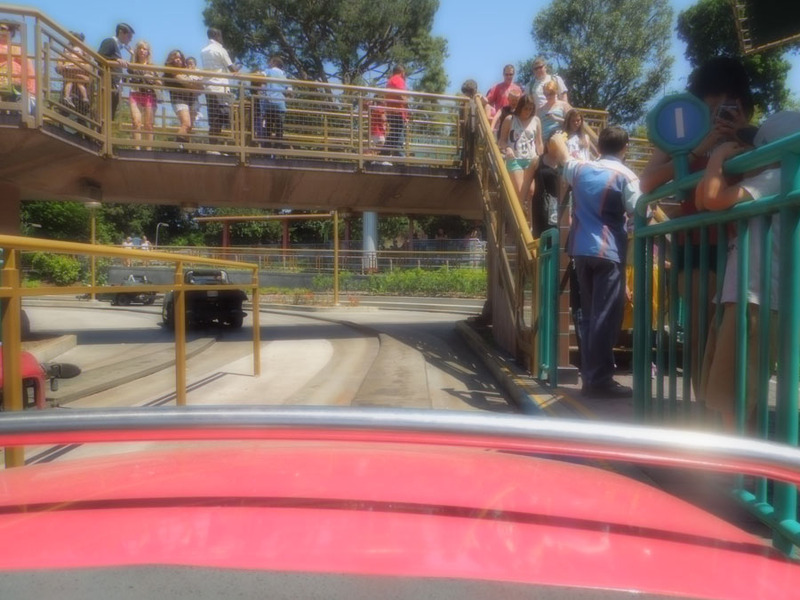 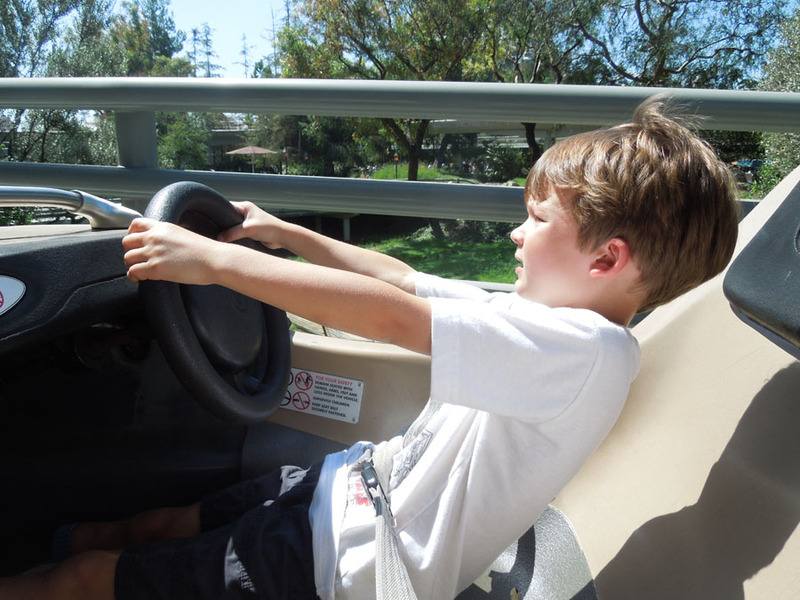 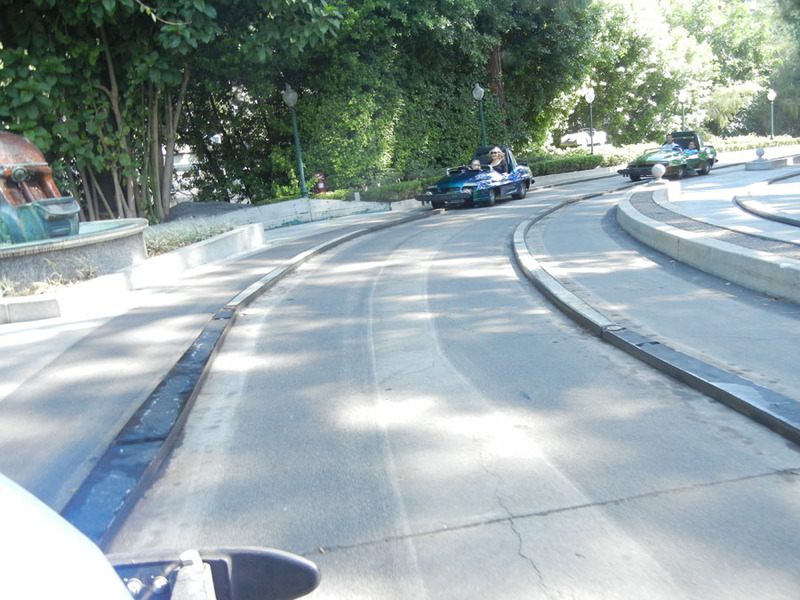 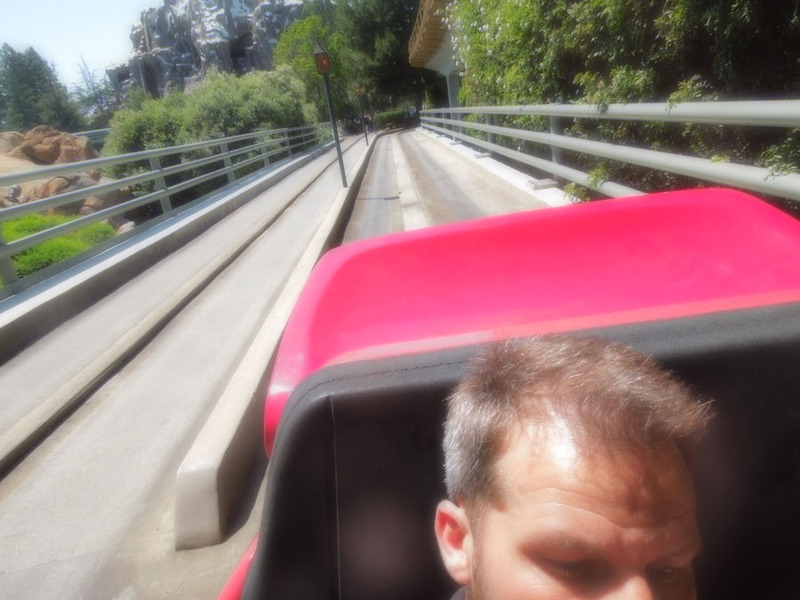 Center rail on Autopia keeps the cars from veering off course. 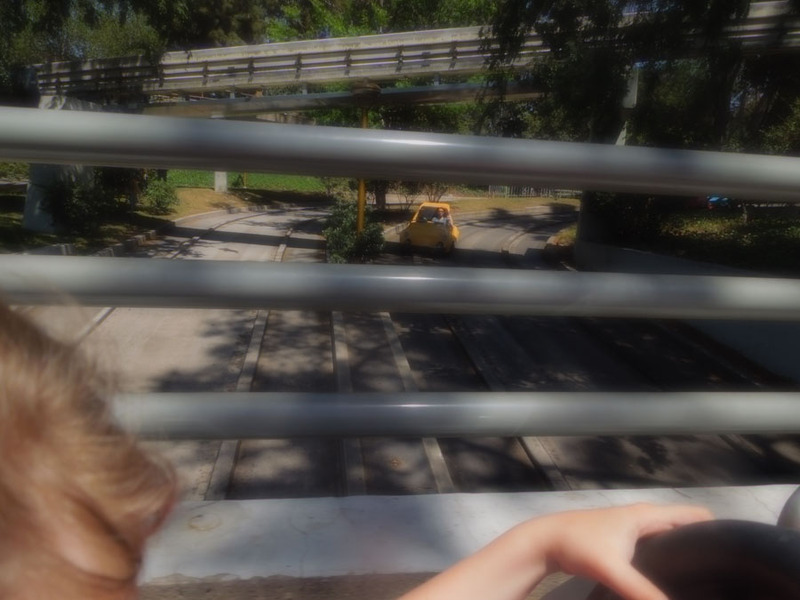 Racing another car to the underpass. 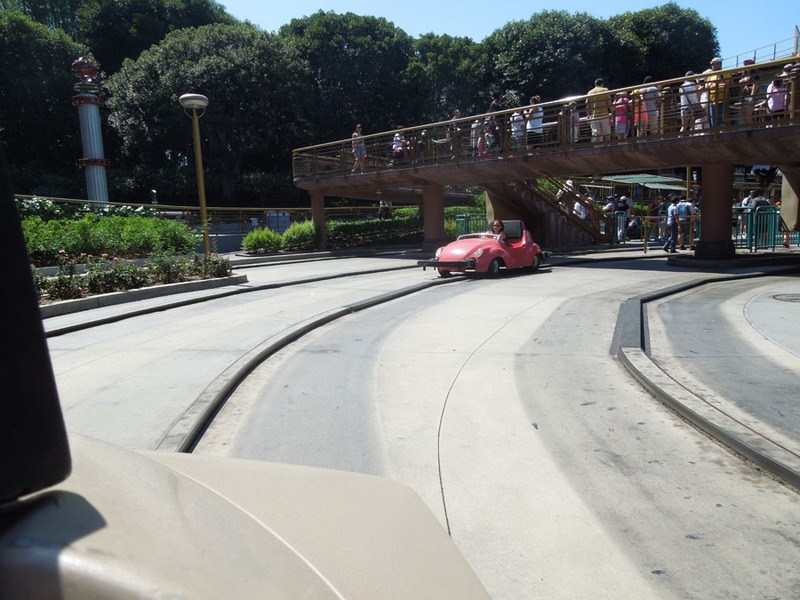 Where the cloverleaf splits the roadway, the cars driving by the Fantasyland smoking area. 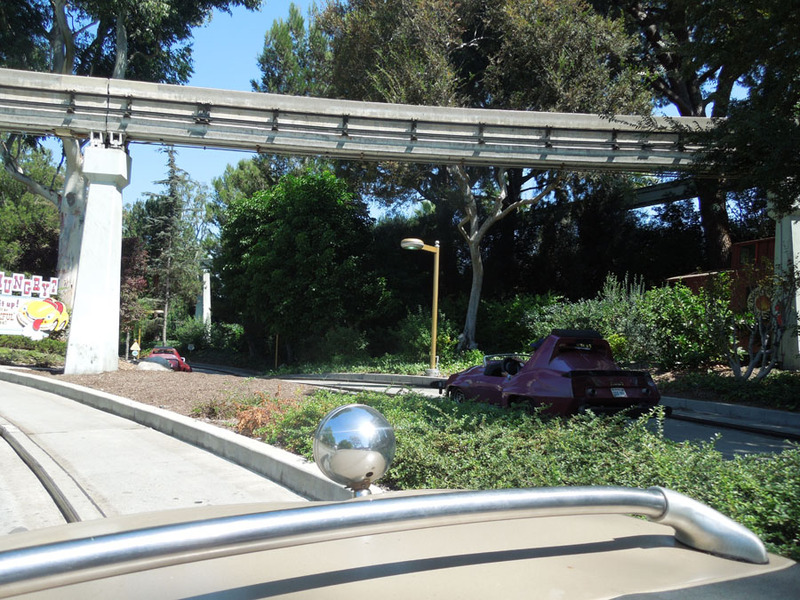 Passing the Submarine ride and Monorail station signals the end of the road. 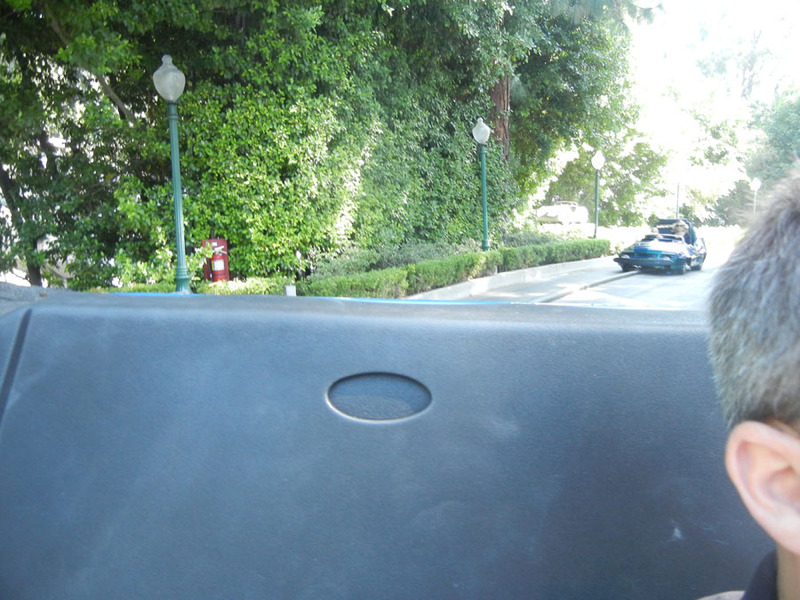 Backpack room in the car. 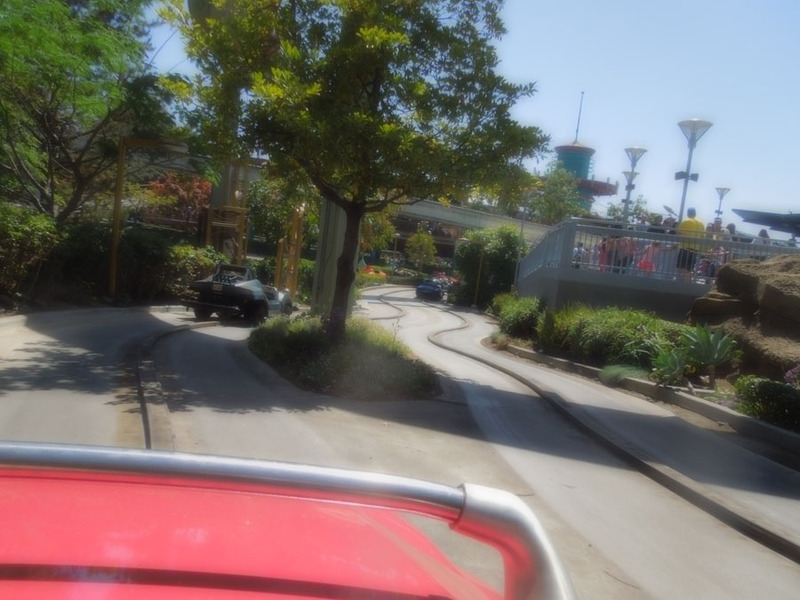 Driving out of the station. 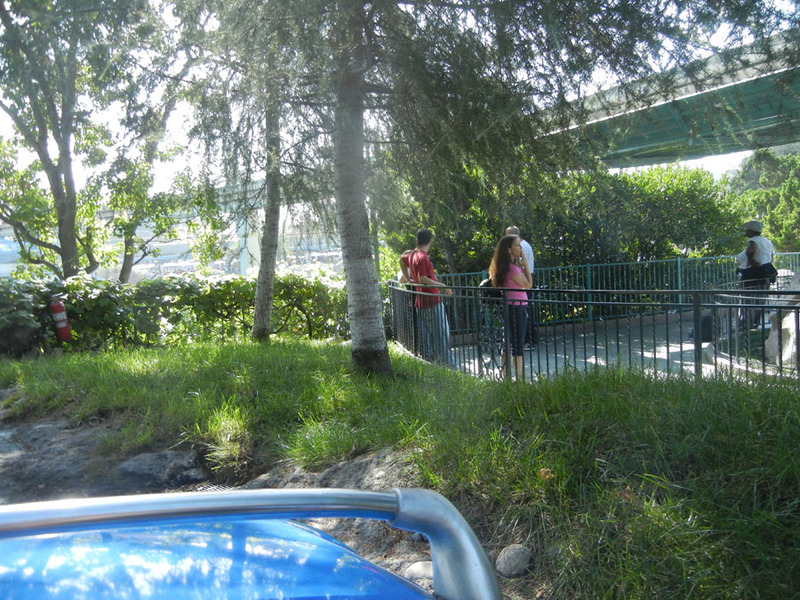 That might be a line for Matterhorn in Fantasyland. 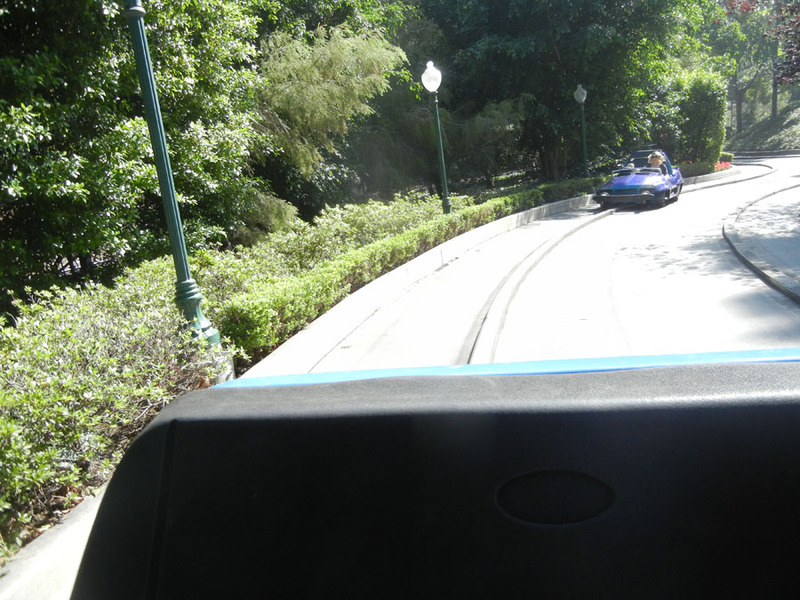 Driving away from the Matterhorn. 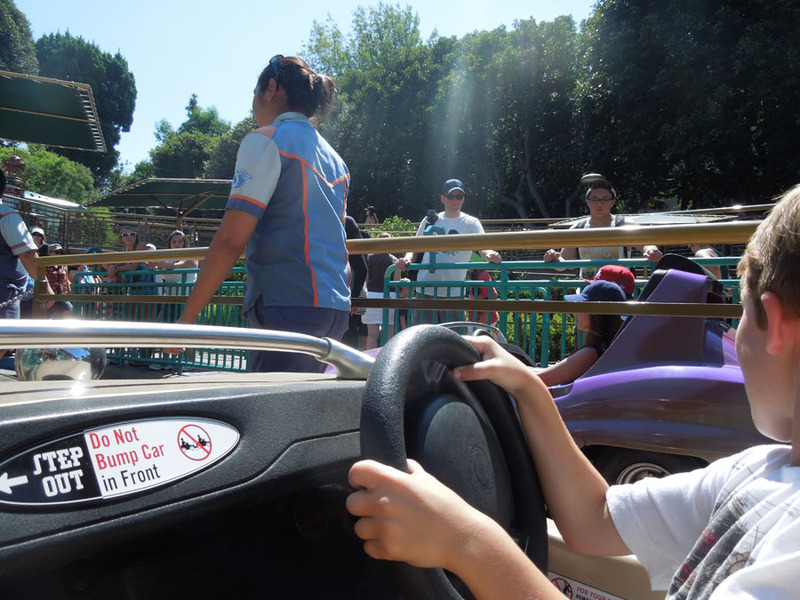 Do not bump sign on the car ahead. 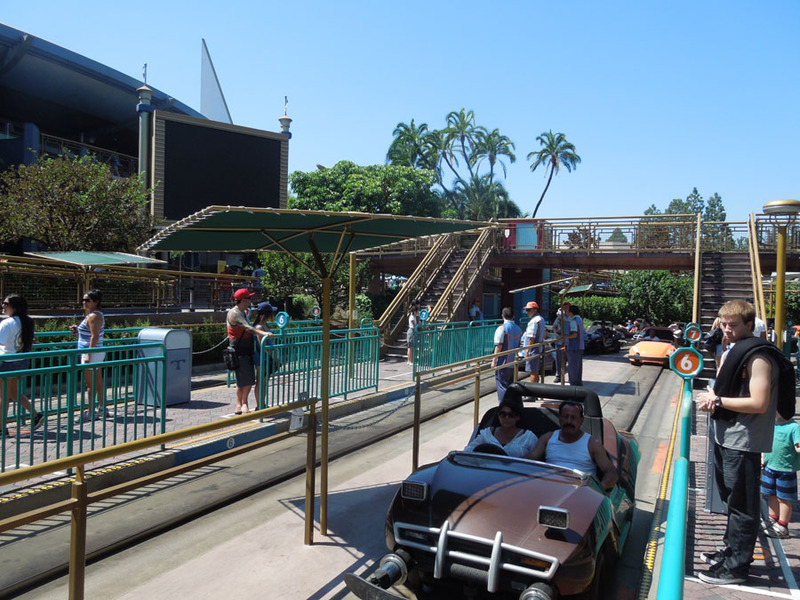 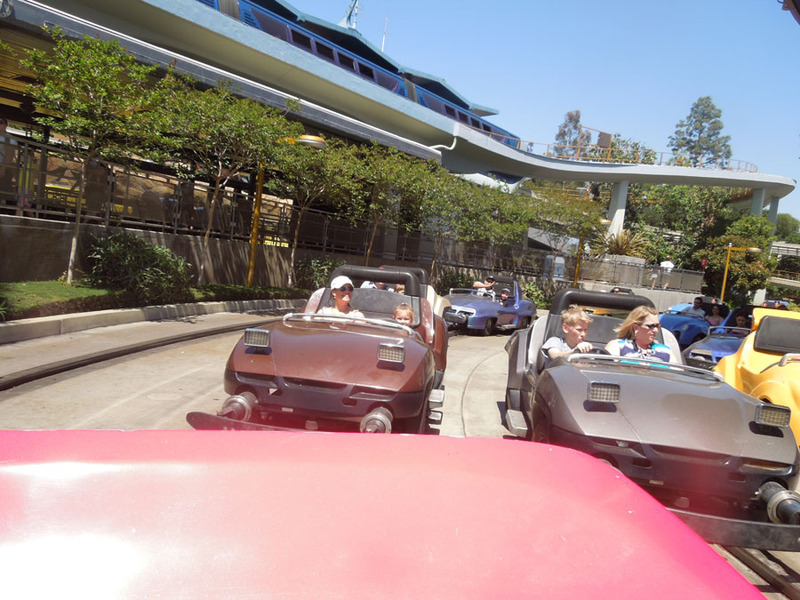 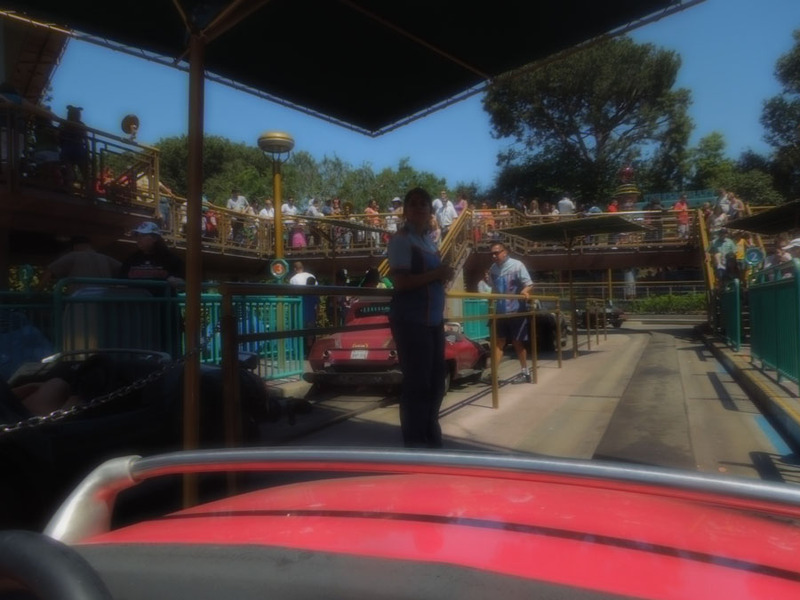 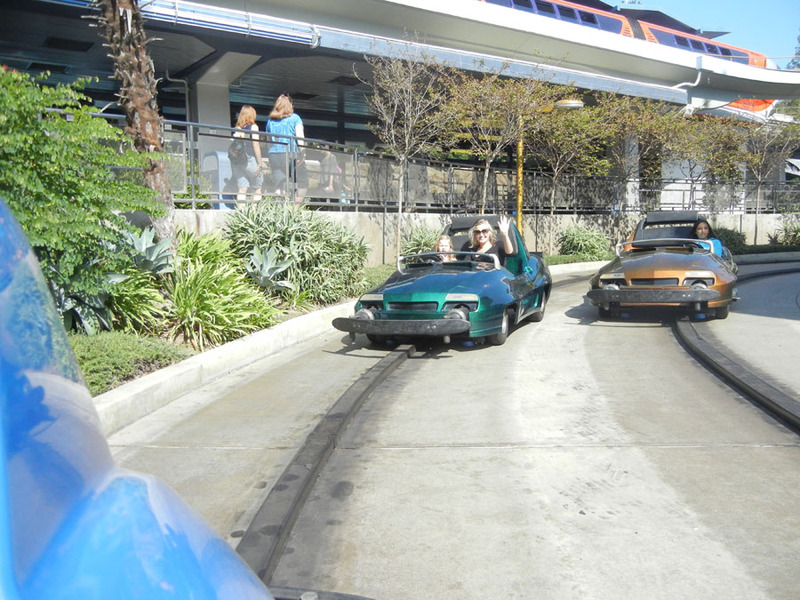 The cars line up, waiting to re-enter the Autopia loading zone.